ProTurbo Roof Vents – Canplas Industries Ltd. 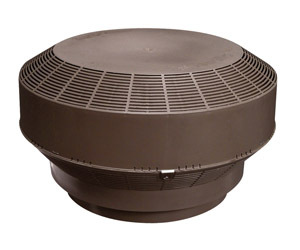 The ProTurbo Roof Vent combines the field tested benefits of the patented Weatherproof® Technology internal baffle system with multi-stage, high volume airflow for superior attic ventilation. The pivoting top with locking pitch accommodates a range of roof pitches for ease of installation. Made of durable polypropylene, ProTurbo has no moving parts to squeak and rust. 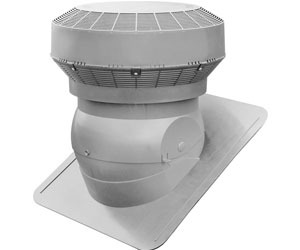 Installed on an existing base from a whirly bird, or turbine vent, either 12 or 14 inch. Intended for a sloped, shingled roof to ventilate hot, moist attic air as a part of a balanced ventilation system. Installed within 24 inches of the roof's peak. Installed on a sloped, shingled roof to ventilate hot, moist attic air as a part of a balanced ventilation system. Installed within 24 inches of the roof's peak. The PROTurbo combines the field tested benefits of the patented WeatherPRO internal baffle system with multi stage, high volume, airflow for superior attic ventilation.